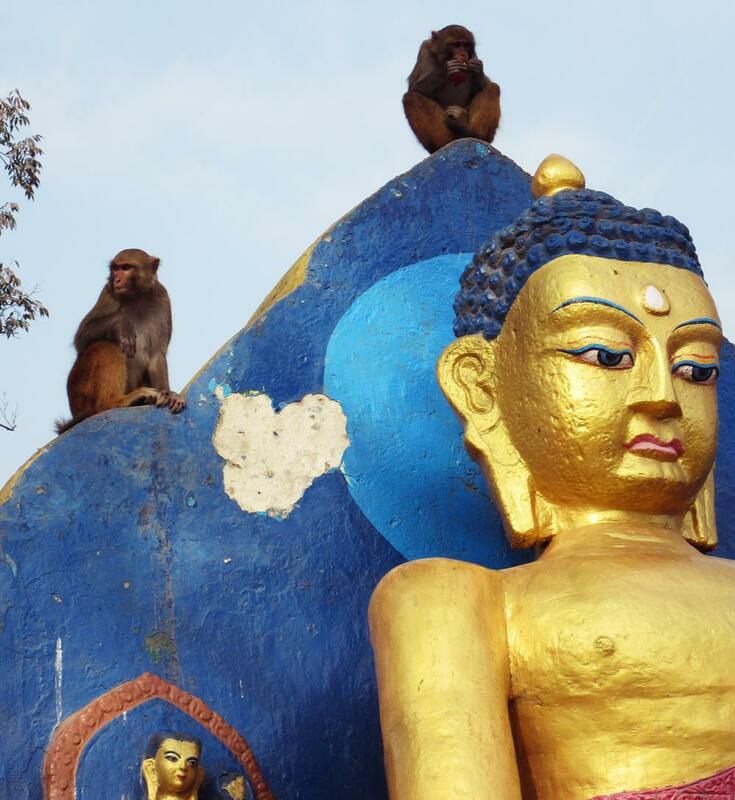 After a 20+ hour flight across the world, we decide that the first thing we should do in Nepal is go to the Monkey Temple. 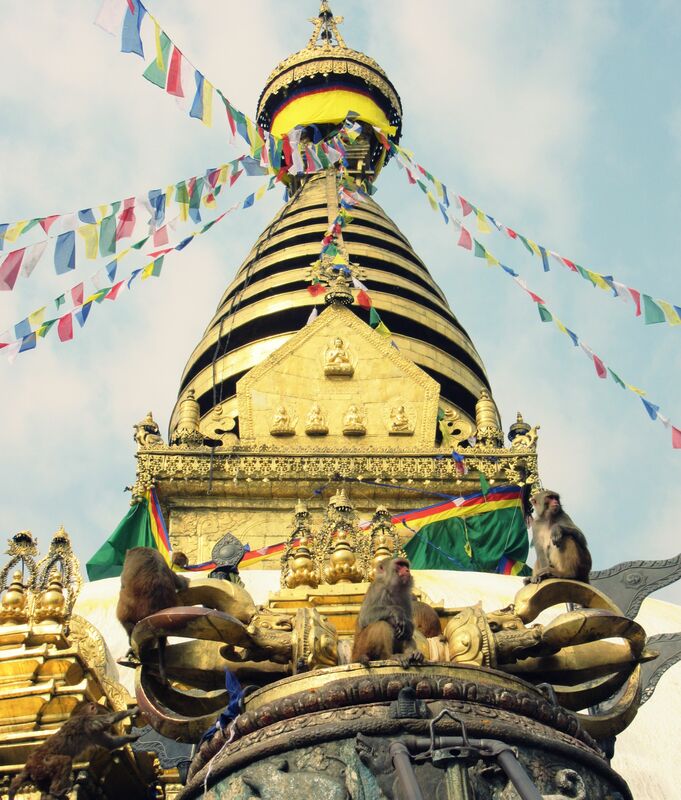 Because, who hears “Monkey Temple” and says no? Jet-lagged, we wander through Kathmandu’s unmarked streets in the general direction of where we think we are supposed to go. Practicing our best cheerful greetings of ‘Namaste!’ we walk past school children in navy blue uniforms and well-used urban temples with frosted with pink, red and orange tikka powder. 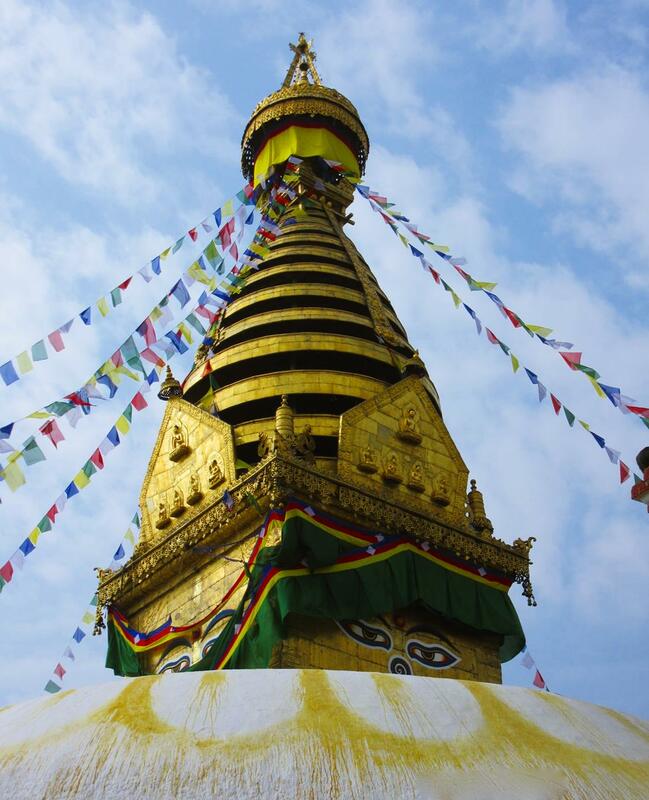 The official name of this temple is Swayambhunath. Hence why English speakers simply call it the Monkey Temple. The name alone inspires images of Indian Jones-like exploration to a remote, golden temple in the middle of the jungle protected by holy monkeys. 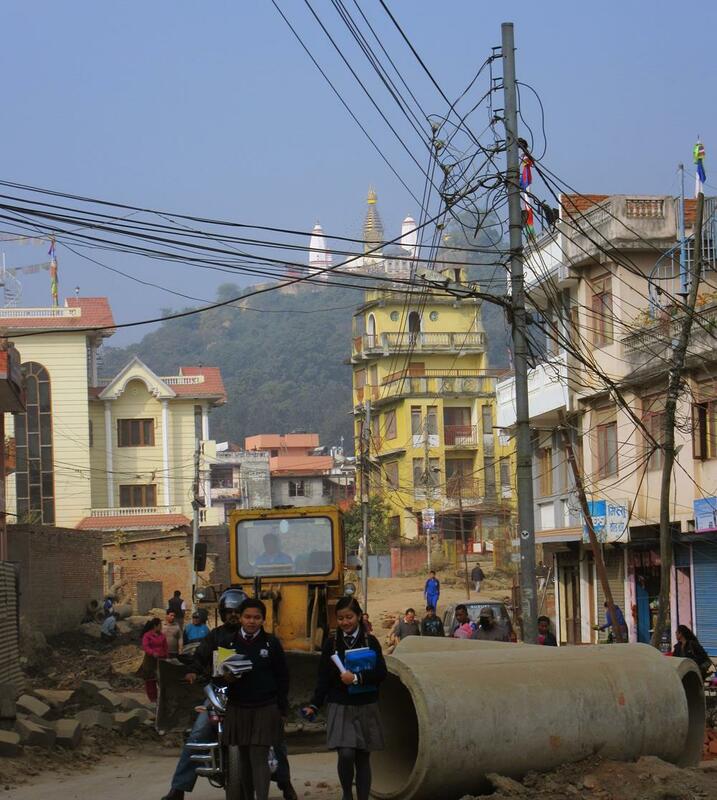 In reality, it is in the middle of the megalopolis of Kathmandu, where nothing seems remote due to cars enthusiastically honk as the chug past you. But the monkeys are still technically holy, since they are the mythical descendants of an enlightened being’s head lice. As soon as we arrive at the temple gates, we cannot control our glee. “Oh my gawd, mon-keeeeeeys!” as if I’m eight years old and I’ve discovered My Little Pony’s scampering around. But as we get closer, they drop the cuteness act. Roaming around like they own the place (because they do), the monkeys are snarling with open flesh wounds on their hind legs. They are picking fleas of each other. And they are freaking everywhere. While real life monkeys are gross, they are just as mischievous as cartoon characters. But its not all about the monkeys. 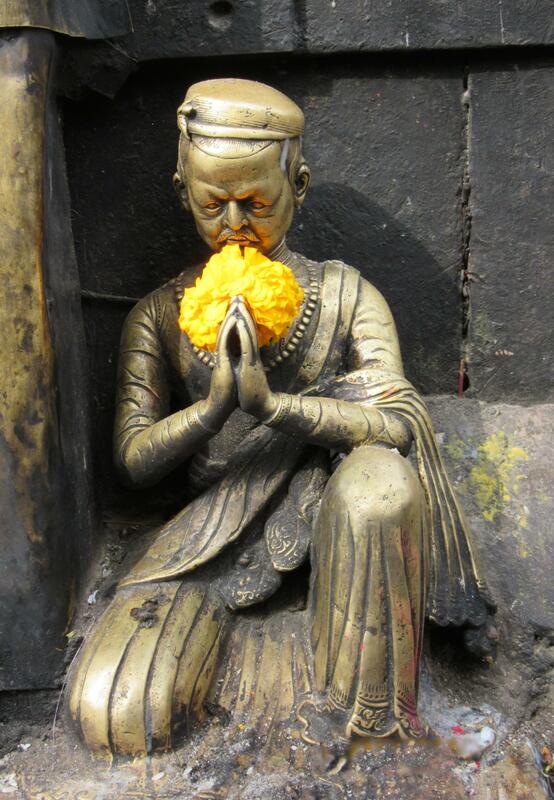 It is our first day in Nepal and we are blown away by the beauty of the temples and how many people actually use them. 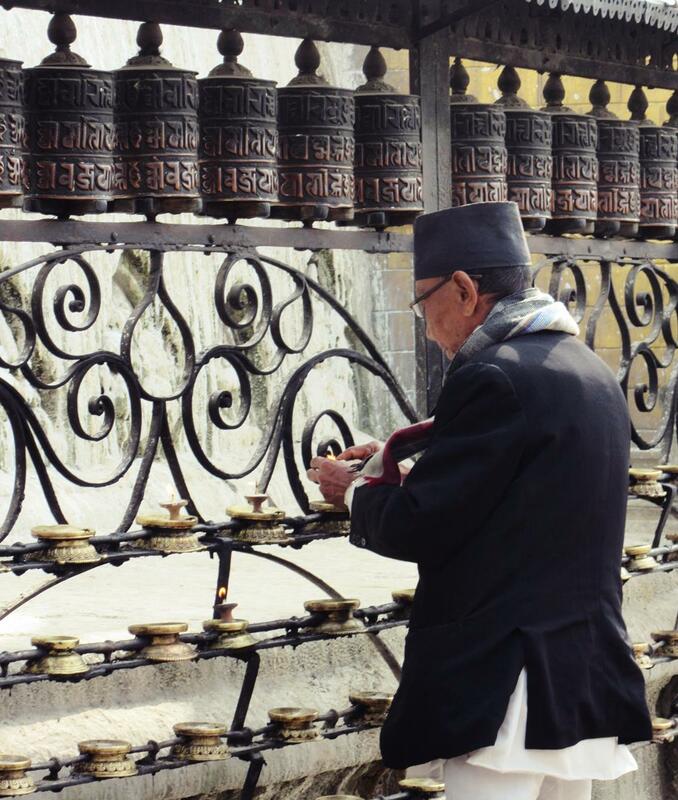 This is one of the most important temples in Nepal for Tibetan Buddhists but is also an important place of worship for Hindus. The pictures alone make the day-long plane ride worth it. 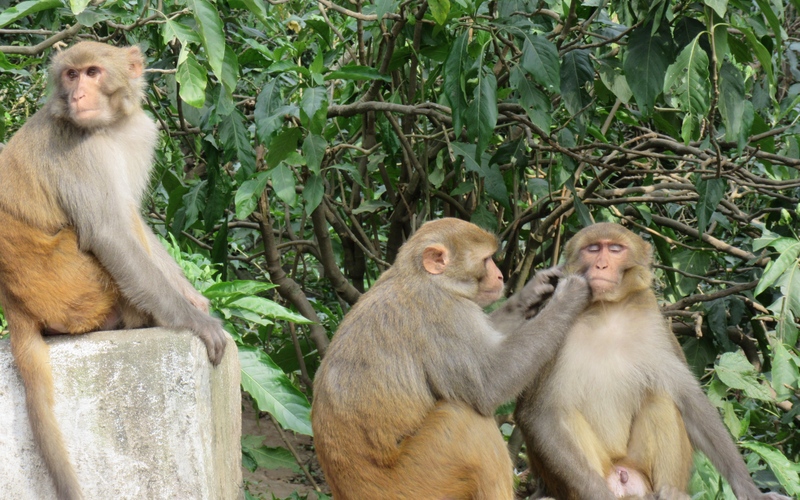 Practical Tip: Get there in the morning to see the monkeys in their prime activity level. Bring 200 rupees for the entrance fee (around $2 US). PS: Check for typos–monkeys ‘creates’ rather than ‘creatures.